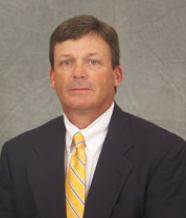 After a Major League Baseball career, Jerry Reed has spent the past 27 years in the financial industry. 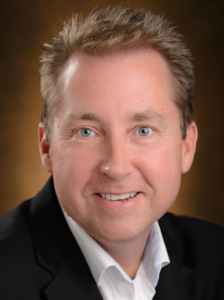 Jerry is a problem solver that specializes in Retirement and Personal Financial Plans. He uses plans with prudent strategies of asset protection using guaranteed investment products. Jerry has been able to protect 100% of his client’s assets through some of the worst economic times during the past 20 years. He wants to ensure that his clients are able to enjoy their retirement without the financial worries that plague the retirement community. Eric Hutter, a native Floridian, is married to Laura for nearly 12 years. They are family oriented and are the proud uncle and aunt to 14 nieces and nephews. They enjoy activities such as fishing, boating, hiking, biking, and reading. Eric, an avid fisherman, participates in regional fishing tournaments and events whenever possible. Eric is able to sleep at night with the comfort of knowing his client’s retirement funds are protected. It is his desire to give you that same peace of mind. Allen Masri, his wife, and their two children have resided in sunny southern Florida for 43 years. As a Federal Employee Benefits Consultant and a host of Safe Money Retirement Radio, Allen has helped people of all walks of life protect their retirement money while enjoying an income that cannot be outlived. Over the years, Allen has enjoyed giving his clients peace of mind by helping them save millions of dollars in retirement assets and not one of those people has ever lost a penny to market adjustments. It is his desire to help you sleep at night and give you that same peace of mind. Rocky Fraleigh started in the Financial Services Business in 1989 and has seen many ups and downs in the Stock Market. He saw his own family lost millions in the Stock Market. So he made a decision to help people accumulate wealth without risking their life savings. Rocky specializes in working with pre-retirees and retirees on how to protect their assets from the Wall Street Roller coaster but helping his clients earn a reasonable rate of return. 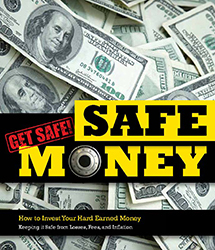 With all of the economic turmoil in the markets, and around the world, it’s more important than ever to keep your wealth safe and wealth safe and secure…but also growing. Valenzuela Financial Management Group was founded in 1993. Starting with an educational approach to financial services, we have developed into a firm that focuses on bringing financial solutions to baby boomers, those approaching retirement and retirees. Since 2000, we all have seen financial changes in the market impact the retirement goals of people age 50+. As a result, people today need to plan differently. Cost of living, college, medical, housing and living expenses continue to rise. How one prepares and manages financially today is more important than ever.